Dehydrated Green Chili Powder that we offer adds spice to the dishes. We make sure that Dehydrated Green Chili Powder is made from fresh chilies under control conditions. Dehydrated Green Chili Powder that we provide complies with high quality food grade standards. 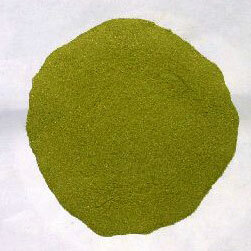 Clients can get Dehydrated Green Chili Powder from us at affordable rates.